From America’s most trusted brand in carpet. STAINMASTER’s multi-action system: Begins to CLEAN pet stains on contact, penetrates deep to LIFT out tough pet stains, REPELS dirt with InvisiTech by leaving behind an invisible shield to protect against resoiling, ELIMINATES odors with powerful ODOR REMOVE technology and freshens with a light, clean scent. 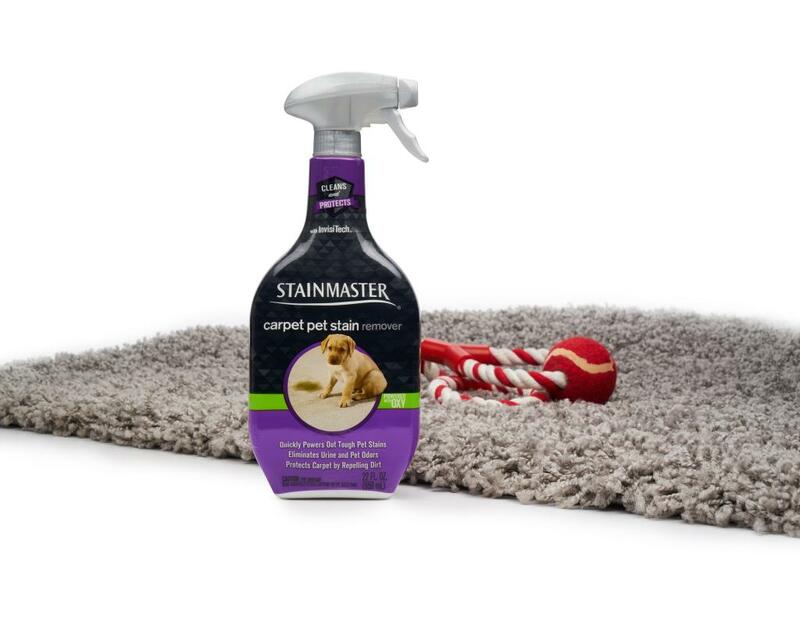 STAINMASTER Carpet Pet Stain Remover lifts away tough pet stains and eliminates pet odors. 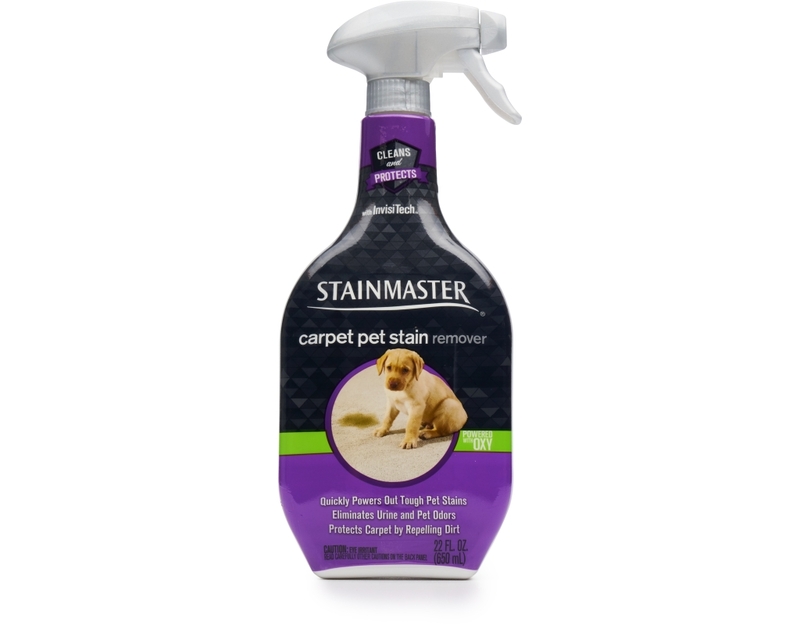 Some other pet stain removers can leave a sticky residue that can attract dirt over time, but STAINMASTER quickly cleans on contact and repels dirt to protect against resoiling. It keeps your carpet looking newer for longer. 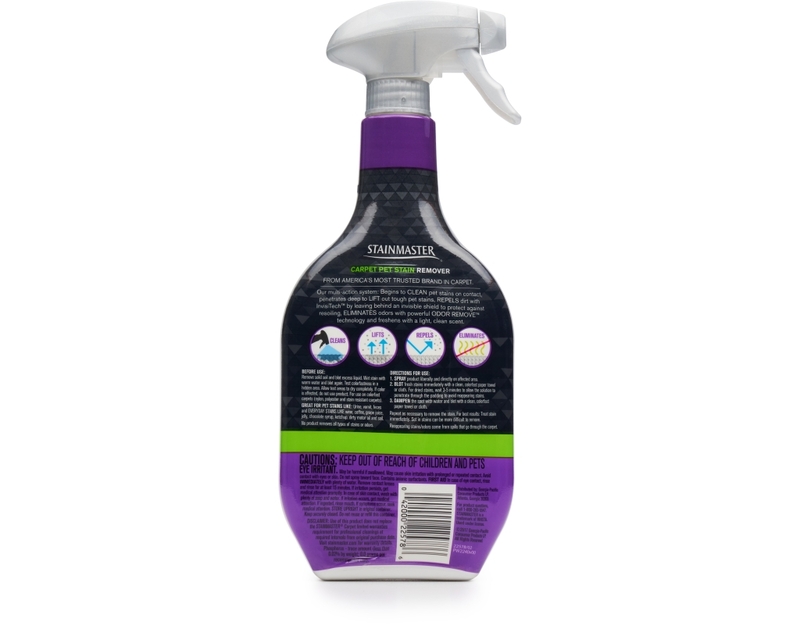 And you can breathe easy thanks to powerful ODOR REMOVE technology, which eliminates odors within minutes. Great pet stain remover for urine, vomit, and feces, and everyday stains like wine, coffee, grape juice, jelly, chocolate syrup, ketchup, dirty motor oil, black marker, and soil.